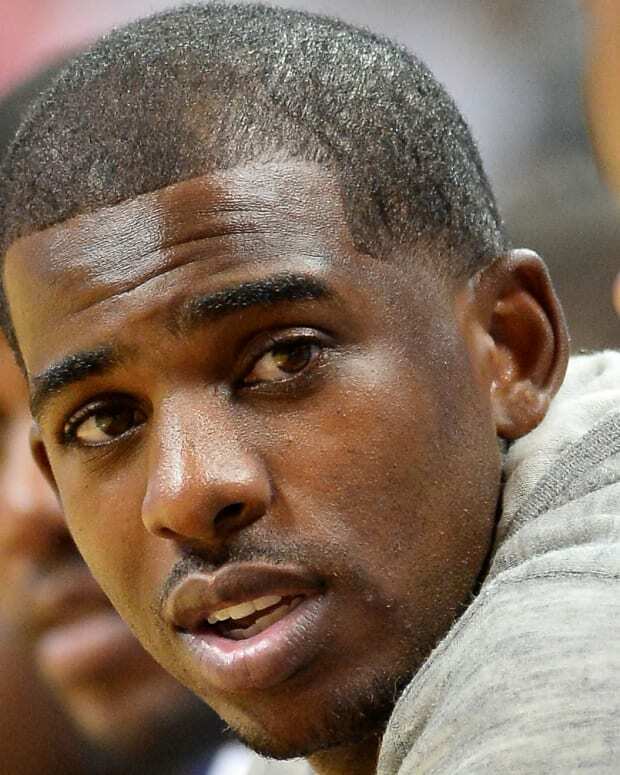 Kyrie Irving holds dual U.S. and Australian citizenship. 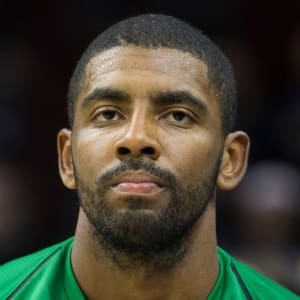 Born in 1992 in Melbourne, Australia, Kyrie Irving became a high school basketball star in New Jersey before briefly playing for Duke University. He was selected by the Cleveland Cavaliers with the No. 1 pick in the 2011 NBA Draft, and in 2016, he teamed with LeBron James to give the Cavaliers their first championship in franchise history. 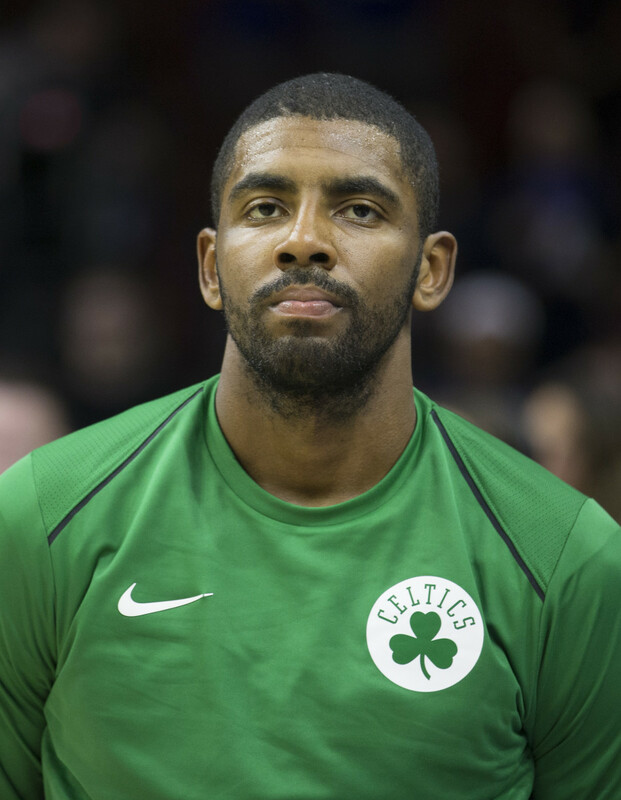 Along with his dazzling scoring ability, Irving is known for his "Uncle Drew" commercials and his controversial comments about the Earth being flat. After six years in Cleveland, Irving began a new phase of his NBA career in 2017 as a member of the Boston Celtics. Kyrie Irving #11 of the Boston Celtics looks on prior to the game against the Philadelphia 76ers at the Wells Fargo Center on October 6, 2017 in Philadelphia, Pennsylvania. After six seasons, four All-Star appearances and an NBA championship as a member of the Cleveland Cavaliers, Kyrie Irving embarked on the next phase of his career with the Boston Celtics in 2017. Things got off to a less-than-ideal start: On October 17, five minutes into the season opener, fellow Celtics newcomer Gordon Hayward went down with a fractured tibia. On November 11, Irving suffered a minor facial fracture, and he returned to action a few days later wearing a stifling mask. Despite the setbacks, the Celtics ripped off a 16-game win streak from late October to just before Thanksgiving. With Irving showcasing his clutch scoring ability, along with a commitment to playing energetic defense under coach Brad Stevens, the Celtics became a favorite to win the NBA&apos;s Eastern Conference. Nominally a point guard, the 6&apos;3" Irving scores well more than the "pass first"-type players who traditionally man the position. He averaged an impressive 25.2 points per game during the 2016-17 NBA season, and 21.6 points per game overall during his six seasons with the Cavaliers. He set a career high with 57 points in a win over the San Antonio Spurs in March 2015. Irving averaged a middling 5.5 assists per game with the Cavaliers, topping out with a career-best 14 assists vs. the Minnesota Timberwolves in February 2017. He set a career high with seven steals earlier in the season, vs. the Golden State Warriors in December. 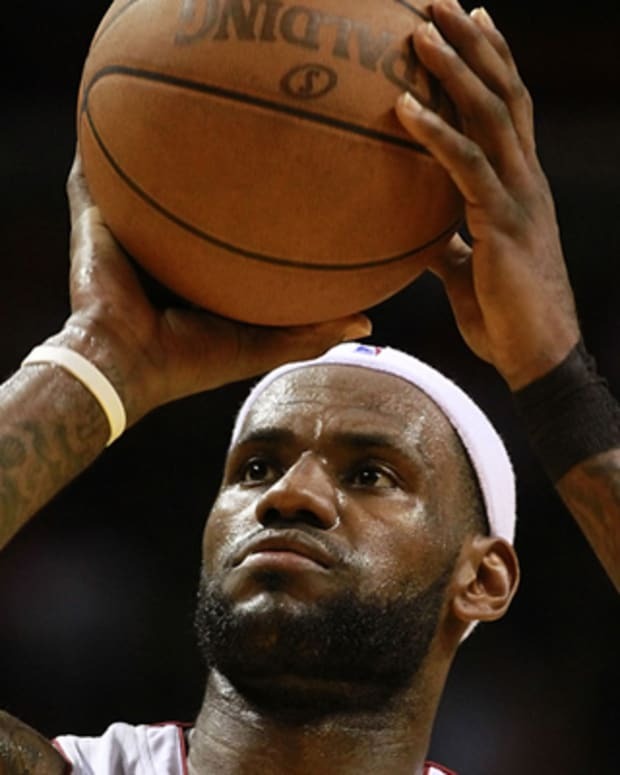 An excellent free-throw shooter, Irving converted 87.3 percent of his attempts with the Cavaliers. He made a solid 38.3 percent of his attempts from three-point range during those years, including a career-best 41.5 percent in 2014-15. Already an All-Star by the time he entered his fourth NBA season, Irving reached another plateau when he was given his own Nike signature shoe, the Kyrie 1, in December 2014. Irving has taken the opportunity to express himself with his footwear over the years. Inspired by watching the Academy Award-winning Whiplash, he began writing the film’s title on the side of his shoes in 2015. He has also worn different versions of his signature kicks since joining the Celtics, including one with a clover-covered toecap, as well as the special-edition “mom” shoes. Irving is also known for his endorsement of Pepsi Max. 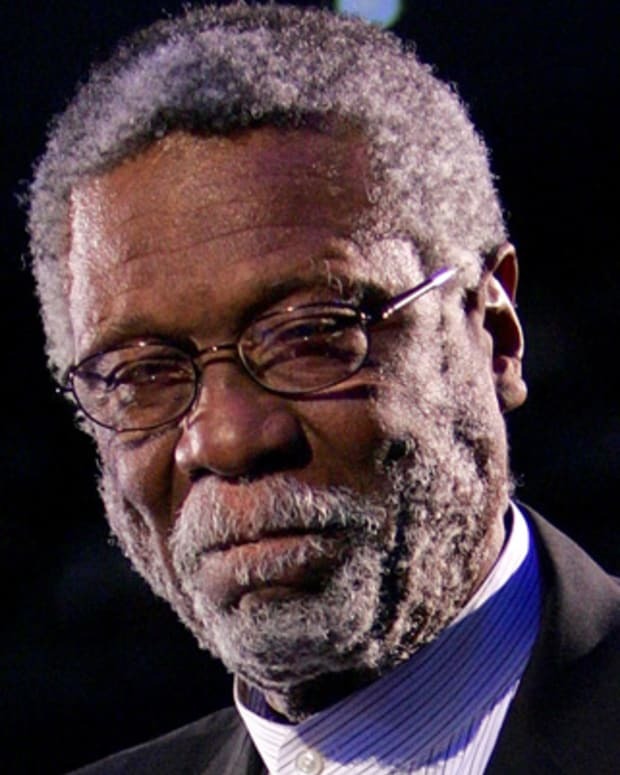 In 2012, he debuted the first of his "Uncle Drew" commercials, in which he appears as a cranky old man who rails about the good old days while dominating younger opponents in a basketball game. The spots enjoyed a long shelf life in expanded videos on YouTube. In 2017, it was announced that the Uncle Drew concept was being developed into a feature film, with former NBA stars Shaquille O&apos;Neal, Reggie Miller and Chris Webber joining the fun. Although he had just appeared in his third consecutive NBA Finals with Cleveland teammate LeBron James, Irving stunned fans by asking for a trade in the summer of 2017. He got his wish on August 22, when the Cavaliers traded Irving to the Celtics for guard Isaiah Thomas, forward Jae Crowder, big man Ante Zizic and a first-round draft pick. A week later, after Cleveland expressed concerns about Thomas&apos;s health, the Celtics forked over another draft pick. Irving&apos;s reason for wanting out of a seemingly good situation in Cleveland eventually came to light: After ceding the limelight to James, unquestionably one of the greatest players in NBA history, the All-Star guard was looking for the chance to lead his own team. He explained his thinking to ESPN in September: “As a 25-year-old evolving man coming in to perfect my craft every single day, I just wanted to be in an environment where I feel I could be taught every single day, and have that demand from the coaching staff, and have that demand from the franchise that would propel me to exceeding my potential and seeing how far I can go." In February 2017, Irving raised eyebrows when he appeared on his teammates’ "Road Trippin&apos;" podcast and argued that the Earth is flat. He insisted that the truth was evident, but that powerful people were controlling the flow of information to convince the masses otherwise. Irving’s comments went viral and inspired numerous opinion pieces that questioned his sanity. Famed astrophysicist Neil deGrasse Tyson even weighed in on the issue: "We live in a free country, so you ought to be able to think and say whatever you want," he told TMZ. "If he wants to think the Earth is flat, go right ahead—as long as he continues to play basketball and not become head of any space agencies." Irving eventually explained that the comments were an "exploitation tactic" to show how the media attempted to demonize people who challenged the status quo, and said he wanted people to not blindly accept everything taught to them. Before Kyrie came along, his dad, Drederick Irving, was an impressive basketball player in his own right. 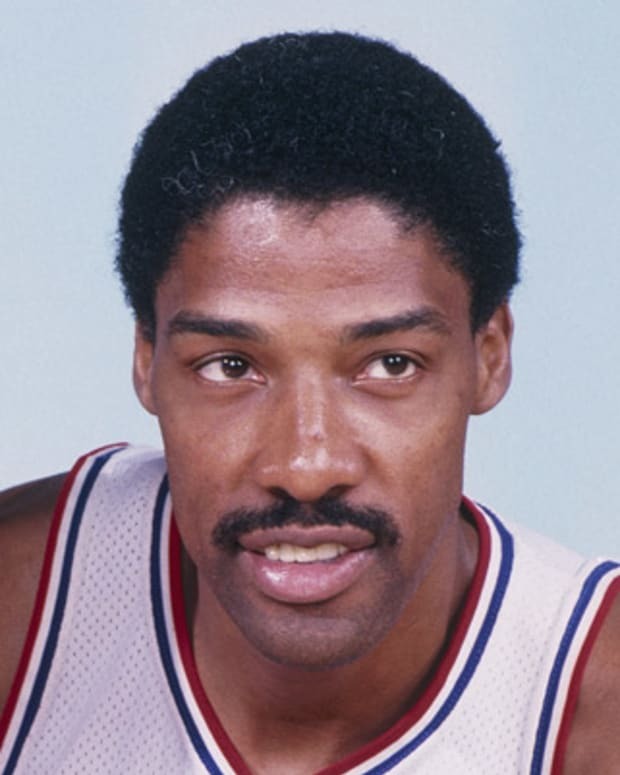 An All-City selection at Adlai Stevenson High School in the Bronx, he went on a storied career at Boston University, finishing as the school&apos;s all-time leading scorer in 1988. 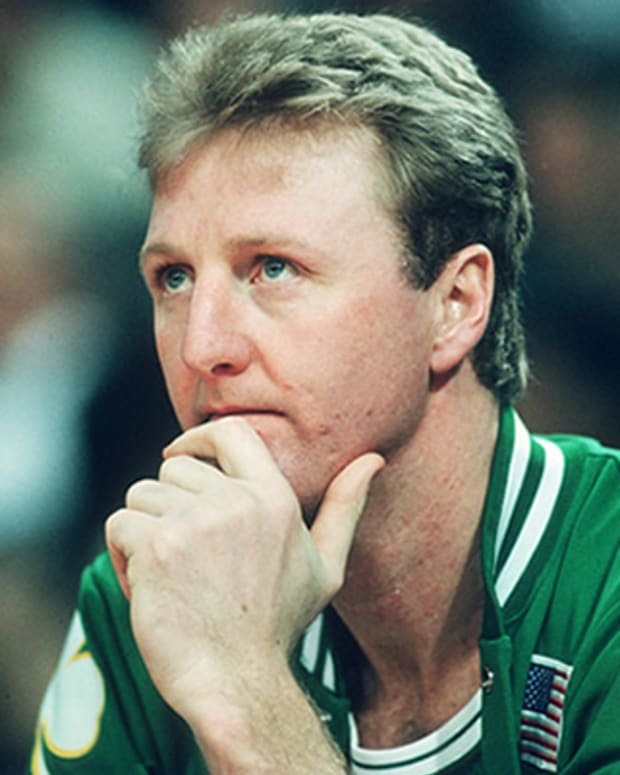 Unable to realize his NBA hopes, he played for Australia’s Bulleen Boomers for a few years. While at BU, Drederick met Elizabeth Larson, a member of the volleyball team and a classically trained pianist. 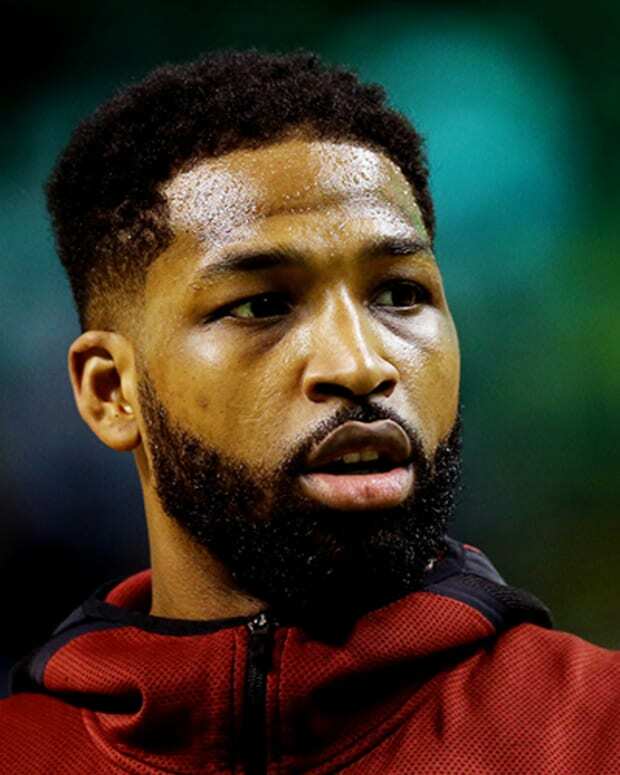 They married and moved to Elizabeth&apos;s hometown near Seattle, Washington, before relocating to Australia for Drederick&apos;s basketball career. Elizabeth unexpectedly died at age 29 in 1996, after contracting sepsis. With Drederick starring locally at hoops, Kyrie Andrew Irving was born on March 23, 1992, in Melbourne, Australia. 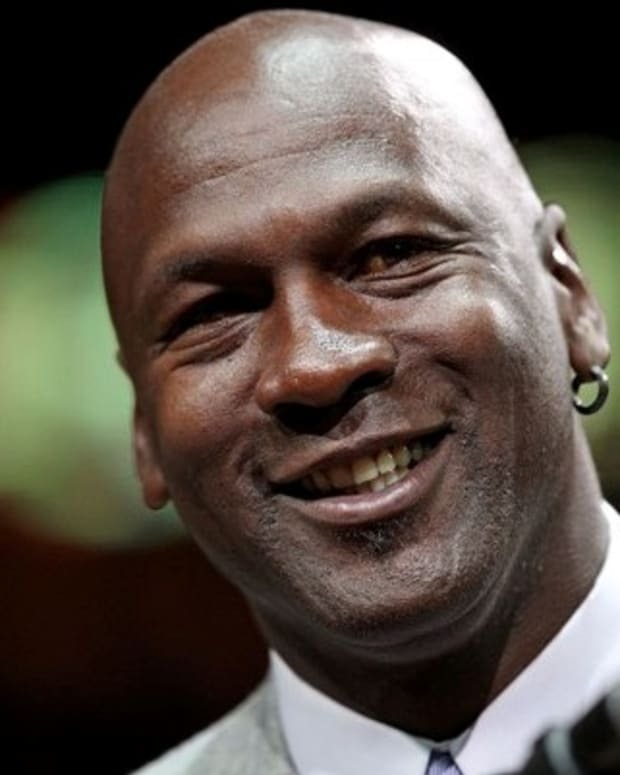 The future NBA great didn&apos;t remain Down Under for long, moving to the United States with his dad and older sister, Asia, at around 2 years old, but he did retain dual Australian-American citizenship. Years later, Irving seriously considered playing for the Australian team in international competition. 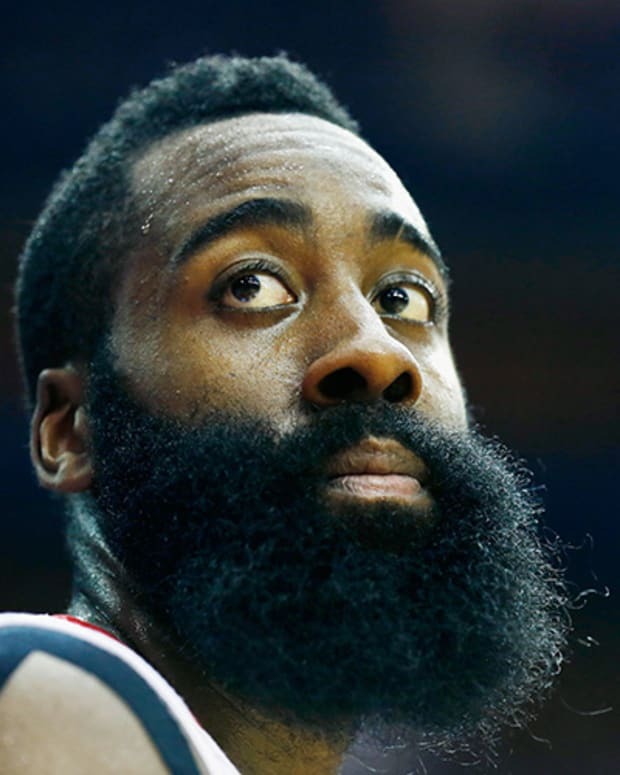 He eventually came around for Team USA, winning a gold medal (and MVP honors) with the Americans at the 2014 FIBA Basketball World Cup, and another gold at the 2016 Rio Olympics. Back in the U.S., Drederick Irving eventually settled in West Orange, New Jersey, bringing his young son along to his pickup basketball games. Immersed in the sport, Kyrie Irving went on to star at nearby Montclair Kimberley Academy, a private school known more for academics than athletics, before transferring to St. Patrick High School in Elizabeth. Alongside future NBA pro Michael Kidd-Gilchrist, Irving led St. Patrick to the state championship as a junior and earned a slew of accolades as a senior, including selection to the McDonald&apos;s All-American team and Gatorade State High School Player of the Year honors. At Duke University, Irving became one of the rare freshman point guards to start for legendary coach Mike Krzyzewski. He showed what the fuss was about with an electrifying 31-point performance against Michigan State in December 2010, but suffered a foot injury a few days later that knocked him out of action until the NCAA tournament in March. Despite playing only 11 games for Duke, Irving showed enough in his brief college career to be selected with the No. 1 overall pick in the 2011 NBA Draft by the Cleveland Cavaliers. With the Cavs reeling following the loss of LeBron James to the Miami Heat in 2010, Irving proved one of the lone bright spots in his early days with the team. He was named MVP of the Rising Stars Challenge during the 2012 NBA All-Star Weekend, and a few months later he was voted the Rookie of the Year. With his dazzling dribbling skills and ability to make acrobatic shots, Irving soon worked his way into the conversation as one of the top guards in the league. He earned his first All-Star selection in 2013, and the following year he was named MVP of the game. That summer, James announced he was returning to Cleveland. With sharp-shooting forward Kevin Love added to the mix, the Cavaliers were expected to contend for the NBA championship with their new "Big Three.” The Cavaliers did indeed make a run at the title, but Irving suffered a fractured kneecap in Game 1 of the 2015 NBA Finals against the Golden State Warriors, sidelining him for the remainder of the series and well into the following season. In 2016, the Cavs earned a Finals rematch with the Warriors, and this time Irving was ready to shine on the big stage: After scoring 41 points to help Cleveland stave off elimination in Game 5, he delivered the winning three-pointer in Game 7 to give the Cavaliers their first championship in franchise history. In 2017, Irving and his teammates met the Warriors in the Finals for the third straight year, but were overwhelmed by Golden State’s high-scoring forward Kevin Durant and lost in five games. Prior to the start of the 2017-18 season, Irving joined the growing list of NBA players who have turned to a vegan diet. Irving became a father in November 2015 with the birth of daughter Azurie Elizabeth, named after his mom. Having separated from the girl&apos;s mother, Andrea Wilson, he soon confirmed he was dating R&B singer Kehlani, though they split a few months later. 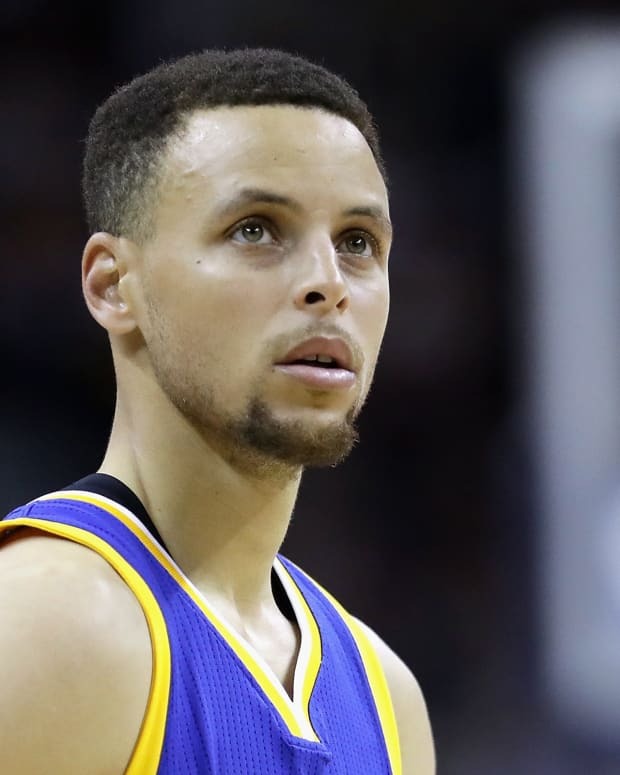 The NBA All-Star has contributed to The Shared Grief Project, an organization that highlights the stories of athletes who endured the loss of loved ones, particularly at young ages, but went on to enjoy successful lives.